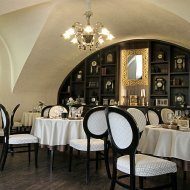 The restaurant can sit 80 people which brings a perfect balance between traditional values with an accent on the current trends and symphony of the tastes of home-made cuisine. 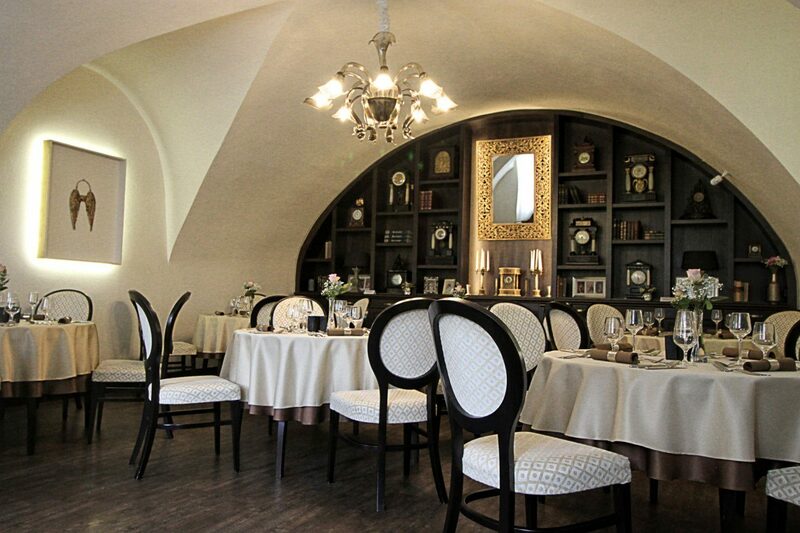 The stylish hotel restaurant has a fitting name "Songe," which means "Dream" in French. 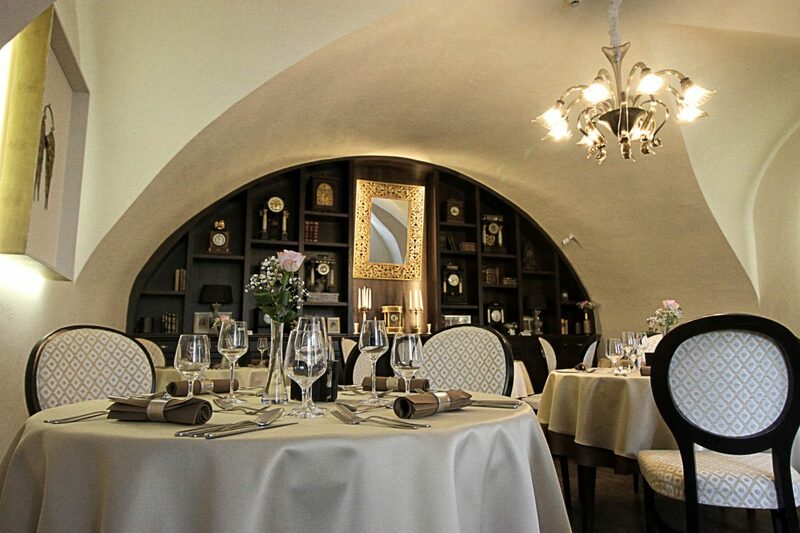 Try and taste exceptional food in an extraordinary place. 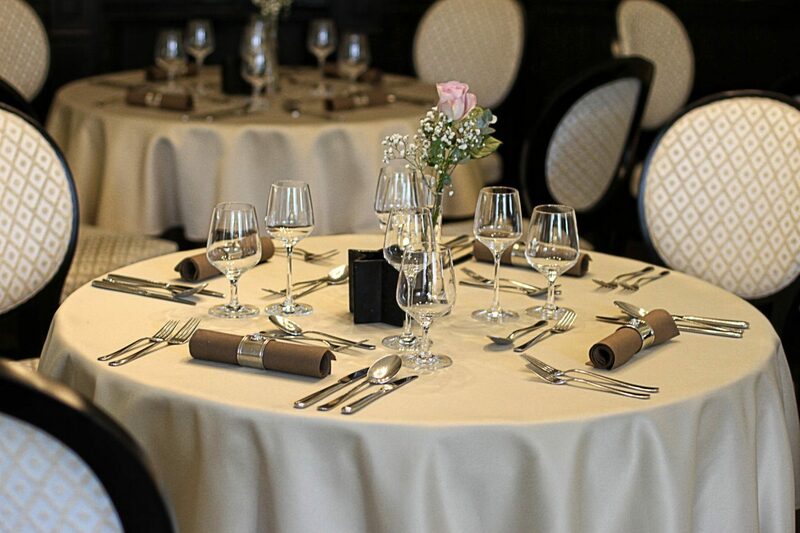 As the restaurant puts great emphasis on fresh ingredients, the à la carte menu changes depending on the season. 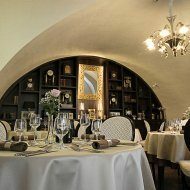 When entering the restaurant, you cannot not miss the magnificent Prussian ridge vaults in all three of the restaurant's rooms that can sit sixty guests. Velasquez's lithography of dwarfs from Madrid museum of Prado hang on the walls, as well as other famous works of the old continent. 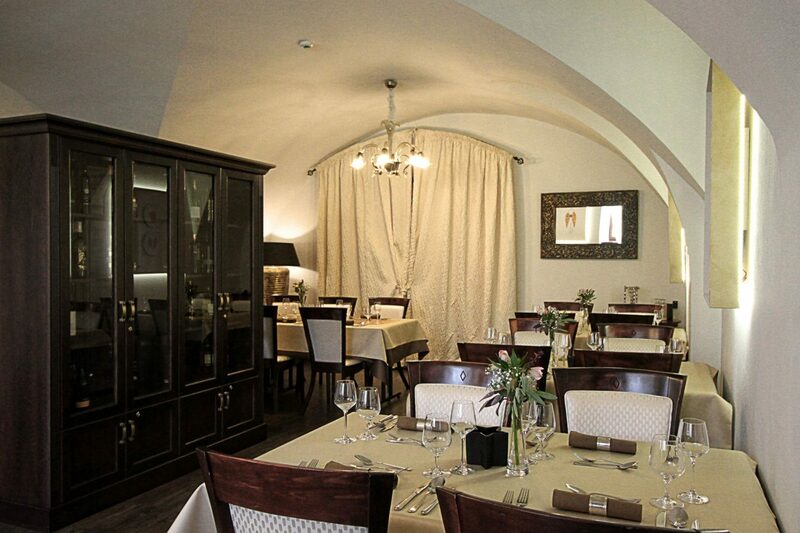 They somehow adumbrate that the there are masterpieces on the walls and also in your plate. 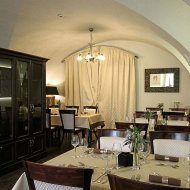 Our nice staff will welcome you and offer you the leather-bound menu as a beginning of gastronomic festival that changes four times a year, symbolically according to the seasons. 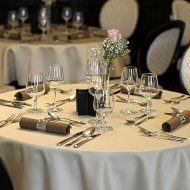 The restaurant is open for our guests until 10 pm.